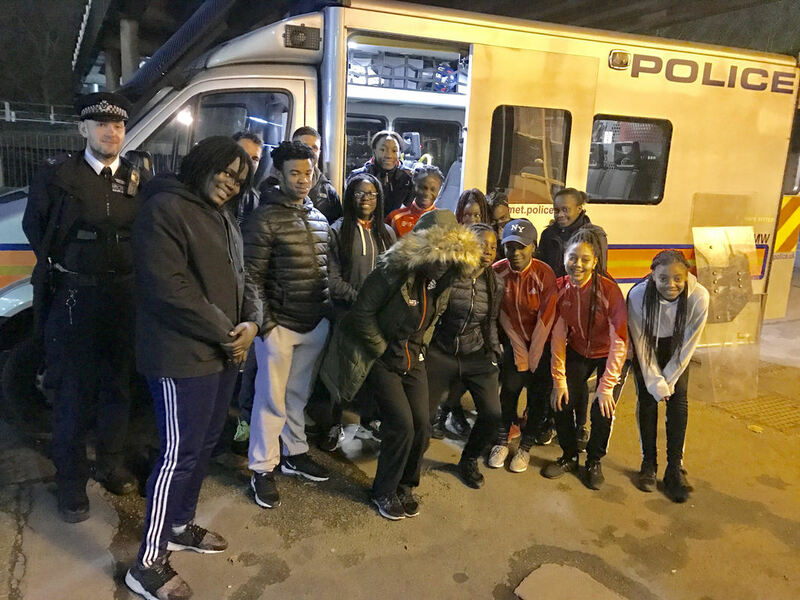 ​Crystal Palace National Sports Centre played host to members of the Metropolitan Police Territorial Support Group on Tuesday (17th January), as they introduced local young people to the sharp end of policing London. 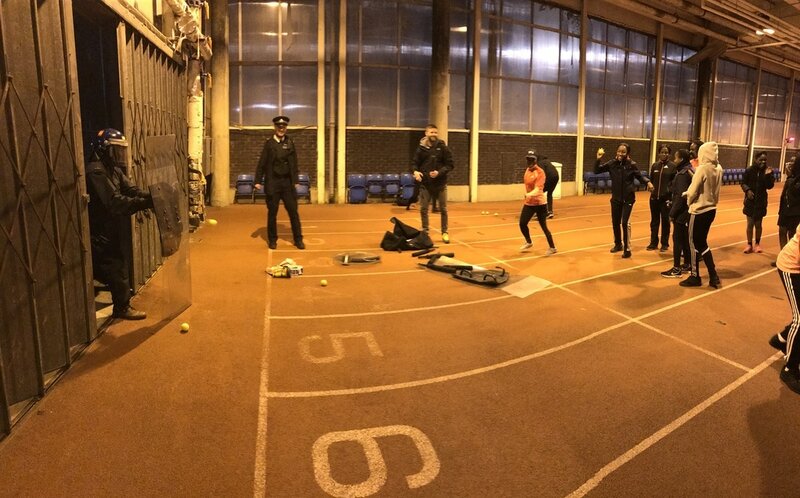 A squad of Met-Track hopefuls who train there under the tutelage of Scheme Director and coach John Powell, alongside his Trackspeed1-UK athletics squad, were treated to an up-close look at how London’s police deal with some of the most dangerous situations they can face. 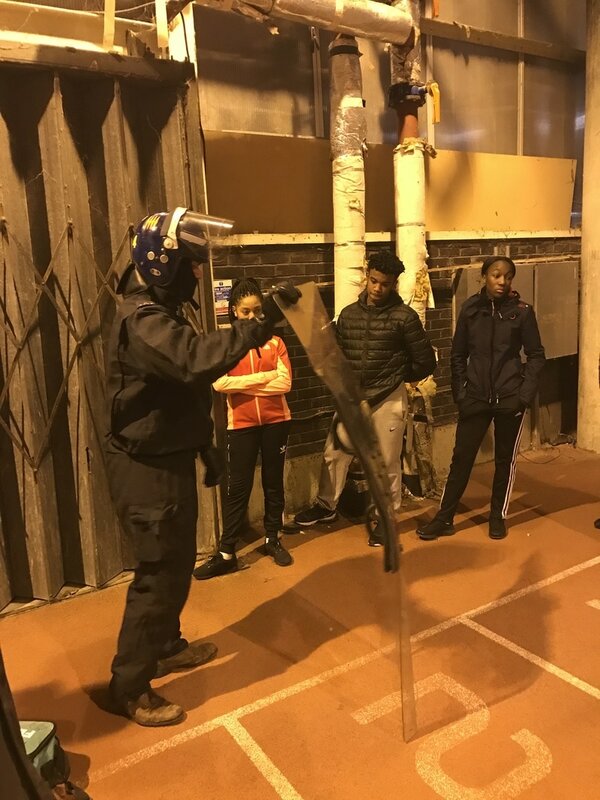 The session included chats on stop-search tactics, the kind of equipment used in various situations ranging from dealing with a violent suspect, to full blown disorder. 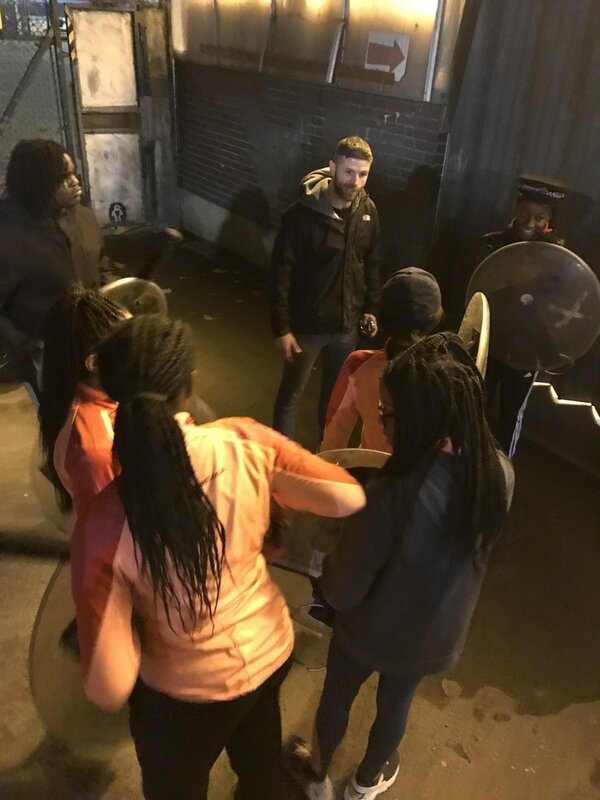 Then two scenarios were staged where the young people were able to dress in the Police equipment and deal with an officer posing as a violent man holding a knife.